Note: you also may want to check out the Product Management Glossary on this site! Affinity diagramming… A business tool I use to organize a large number of ideas, sorting them into groups based on their natural relationships, for review and analysis of a software or hardware system. Agile development methodology… A methodology fundamentally incorporating iteration and continuous feedback to refine and deliver a highly usable software or hardware system. It involves continuous planning, testing, integration, and other forms of continuous evolution of both the project and the software or hardware. Analysis stage… The stage of the UX process where insights are drawn from data collecting during the earlier Research stage. Capturing, organizing and making inferences from the “what” can help UX designers begin to understand the “why”. Analytics… A broad term that encompasses a variety of tools, techniques and processes used for extracting useful information or meaningful patterns from data. Axure… A wireframing and interactive prototyping tool (one of many I use) – available for both Windows and Mac. Balsamiq Mockups… A wireframing and interactive prototyping tool (one of many I use) – available for both Windows and Mac. Beta launch… The limited launch of a product or service with the goal of finding bugs before final launch. Branding… The process of creating and marketing a consistent idea or image of a product, so that it is recognisable by the public. Card sorting… A technique – in which I use either actual cards or software – where users generate an information hierarchy that can then form the basis of an information architecture or navigation menu. Collaborative design… Inviting input from users, stakeholders and other project members. Competitor analysis… Performing an audit or conducting user testing of competing websites and apps; writing a report that summarizes the competitive landscape. Comparative analysis… Performing an item-by-item comparison of two or more websites or apps to determine trends or patterns. Content management… The suite of processes and technologies that I use to support the collection, management, and publication of information in any medium. Contextual enquiry… Interviewing users in the location that they use the website or app, in order to understand their tasks and challenges. Content audit… Reviewing and cataloguing a client’s existing repository of content. Design stage… The stage in a user-centred design process where ideas for potential solutions are captured and refined visually, based on the analysis and research performed in earlier stages. Diary Study… Asking users to record their experiences and thoughts about a product or task in a journal over a set period of time. Experience Map… An experience map is an holistic, visual representation of your users’ interactions with your organisation when zoomed right out (usually captured on a large canvas). Heuristic review… Evaluating a website or app and documenting usability flaws and other areas for improvement. HCI… Human Computer Interaction involves the study, planning, and design of the interaction between people (users) and computers. High-fidelity prototype… A prototype which is quite close to the final product, with lots of detail and a good indication of the final proposed aesthetics and functionality. Human factor… Also called ergonomics. The scientific discipline of studying interactions between humans and external systems, including human-computer interaction. When applied to design, the study of human factors seeks to optimize both human well-being and system performance. Industrial design… The application art and science to a product, in order to improve its aesthetics, ergonomics, functionality, and usability. Information architecture (IA)… The art and science of organising and labeling websites, intranets, online communities and software to support usability. Industrial Design… Design that benefits not only the end user but also the service provider or the manufacturer (and usually both). This type of design is applied to mass production systems, manufacturing processes and business processes. Interaction design (IxD)… Sometimes referred to as IxD, interaction design strives to create meaningful relationships between people and the products and services that they use. Interaction model… A design model that binds an application together in a way that supports the conceptual models of its target users. It defines how all of the objects and actions that are part of an application interrelate, in ways that mirror and support real-life user interactions. Iterate… The act of repeating a process with the aim of approaching a desired goal, target or result. Each repetition of the process is also called an iteration. Iterative design… A methodology based on a cyclic process of prototyping, testing, analysing, and refining a product or process. Based on the results of testing the most recent iteration of a design, changes are made. This process is intended to ultimately improve the quality and functionality of a design. Lean UX… Inspired by Lean and Agile development theories, Lean UX speeds up the UX process by putting less emphasis on deliverables and greater focus on the actual experience being designed. Low-fidelity prototype… A quick and easy translation of high-level design concepts into tangible and testable artefacts, giving an indication of the direction that the product is heading. Mood Board… A collage, either physical or digital, which is intended to communicate the visual style a direction is heading. Paper prototype… A rough, often hand-sketched, drawing of a user interface, used in a usability test to gather feedback. Participants point to locations on the page that they would click, and screens are manually presented to the user based on the interactions they indicate. 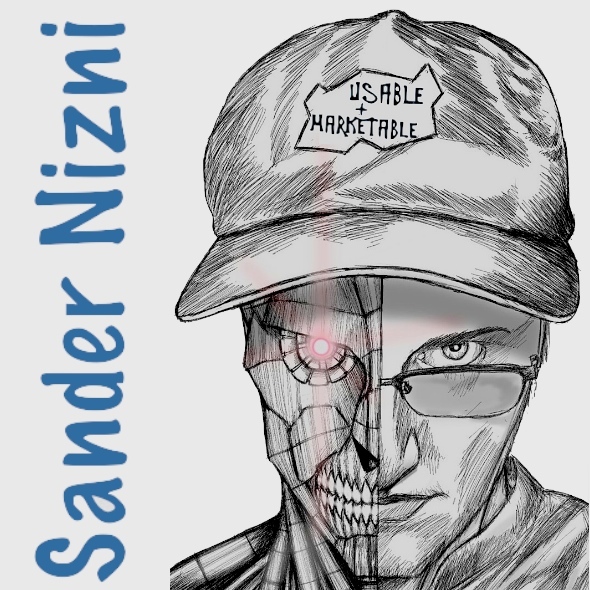 Personas… A fictitious identity that reflects one of the user groups for who you are designing. Production stage… The stage at which the high-fidelity design is fleshed out, content and digital assets are created, and a high-fidelity version of the product is validated with stakeholders and end-users through user testing sessions. The role of the UX Designer shifts from creating and validating ideas to collaborating with developers to guide and champion the vision. Project kick-off… The formally recognized start of a project. Prototype… A rough guide for the layout of a website or app, giving an indication of the direction that the product is heading. Questionnaires… A research instrument consisting of a series of questions and other prompts for the purpose of gathering information from respondents. Red route… The frequent and critical activities that users will perform on your site. They are complete activities, not single tasks, and will probably require several pages to execute. Defining the red routes for your site means that you’ll be able to identify and eliminate any usability obstacles on the key user journeys. Research stage… Often referred to as the Discovery stage. Complex projects will comprise significant user and competitor research activities, while small projects may require nothing more than some informal interviews and a survey. Responsive design… A design approach that responds to the user’s behavior and environment based on screen size, platform and orientation. The practice consists of a mix of flexible grids and layouts, images and an intelligent use of CSS media queries. Scenario… A narrative describing “a day in the life of” one of your personas, and probably includes how your website or app fits into their lives. Service design… The practice of designing a product according to the needs of users, so that the service is user-friendly, competitive and relevant to the users. Sitemap… A complete list of all the pages available on a website. Strategy stage… The stage during which the brand, guiding principles, and long-term vision of an organisation are articulated. The strategy underpinning a UX project will shape the goals of the project—what the organisation is hoping to achieve with the project, how its success should be measured, and what priority it should have in the grand scheme of things. Storyboard… A tool inspired by the filmmaking industry, where a visual sequence of events is used to capture a user’s interactions with a product. Depending on the audience, it may be an extremely rough sketch, purely for crystallising your own ideas. Survey… An online form designed to solicit feedback from current or potential users. Stakeholder Interviews… Conversations with the key contacts in the client organisation funding, selling, or driving the product. Technical communication… The practice of creating easily accessible information for a specific audience. 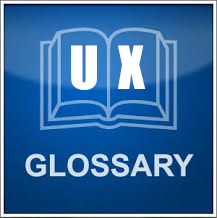 Usability… Is the ease of use and “learnability” of an object, such as a book, software application, website, machine, tool or any object that a human interacts with. Usability engineering… The practice of assessing and making recommendations to improve the usability of a product. Usability testing… The practice of assessing and making recommendations to improve the usability of a product. Usability testing measures the usability, or ease of use, of a specific object or set of objects, whereas general human-computer interaction studies attempt to formulate universal principles. Usability testing is branch of user research, although many view it as a separate discipline in the UX domain. Usability testing is predominantly qualitative in nature (vs. user research, which can be either quantitative or qualitative). Usability testing aims to evaluate a product by testing it on users (and usually observing them in the process and drawing inferences). Examples of products that commonly benefit from usability testing are foods, consumer products, web sites or web applications, computer interfaces, documents, and devices. User-centred design… A design process during which the needs of the user is considered at all times. Designers consider how a user is likely to use the product, and they then test the validity of their assumptions in real world tests with actual users. User feedback loop… Ideas are put in front of users, who provide their feedback, which is used to refine the design, and then the process repeats. User journey… The step by step journey that a user takes to reach their goal. User interview… Used for understanding the tasks and motivations of the user group for whom you are designing, user interviews may be formally scheduled, or just informal chats. User research… Collection and analysis of statistical information as well as observation techniques and feedback methodologies used to focus on understanding user behaviors, needs, and motivations. UXPin… A collaborative app (I use a variety of them) that includes stencils for creating wireframes and low fidelity prototypes. Visual design… I often call this “communication design” – a discipline which combines design and information development in order to develop and communicate a media message to a target audience. Waterfall model of development… A sequential design process where software or hardware development progress is seen as flowing steadily downwards through the phases of Conception > Initiation > Analysis > Design > Construction > Testing > Implementation > Maintenance. Wireframe… A rough guide for the layout of a website, app, process or a device, either done with pen and paper or with wireframing software (I use many different types, some of which are mentioned in this glossary). Workflow diagram… Sometimes I call this an “activity diagram” – a graphical representation of activities and actions conducted by users of a software or hardware system.